The FIA's publication today of their version of events leading up to the present crisis in F1 makes it clear that any agreement between the warring parties has become almost impossible. By announcing its determination to proceed with the regulations as originally published, the governing body has put an end to further negotiation with the teams. And it hardly matters whether we believe the FIA's statement or not; that is the way Mosley sees it and that is the course of action he is now set upon. We can take it, therefore, that next season will see F1 fielding two existing teams, Williams and Force India, and several new teams, those already accepted and any of the other applicants who prove capable of getting a car on to the grid in Melbourne. It remains to be seen whether FOTA will attempt to set up a competing series or allow its members to enter existing series or withdraw from motor sport completely. Even if a new series is established, we can be sure that neither F1 nor its rival will be as fascinating as the sport we know today; we can be certain that viewing figures will plummet as a result. At that point, it is inevitable that our thoughts turn to the one whose reason for being is control of the income from F1, Bernie Ecclestone. He is the one who has most to lose from a split in the sport and yet, beyond a brief call for calm, we have heard nothing from him. I can only presume that he is beavering away behind the scenes, trying to hold his cash cow together. Indeed, we must hope so because, as things stand at the moment, he is the last hope for the continuation of F1 as we know it. There is some irony in that. 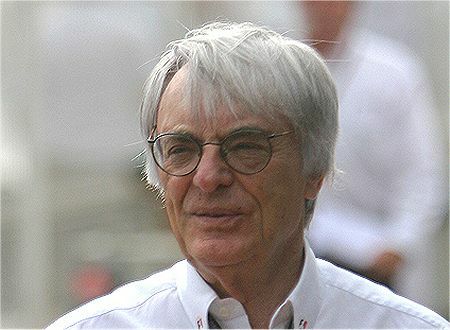 Ecclestone is often credited with having created F1 as the huge spectator sport that it has become yet I would argue that, in doing so, he has brought about the situation we are watching now. It is no accident that the sport has seen an increase in litigation, argument and threatened withdrawals over the last few years; as it has expanded into the arena of entertainment, so has its income grown exponentially and become something worth fighting for. Without this expansion, the manufacturers would never have become interested to the point of setting up their own teams, the investment of funds would have remained at a reasonable level and no one would be claiming the sport as a business. The sport would have been worth televising in those countries where its fanbase was strongest (Europe, North and South America, Japan) - the BBC began showing every GP back in 1978, long before Ecclestone got his hands on the purse strings - but there would have been no need to depart from established venues to race in countries with non-existent fanbases but plenty of government money. F1 could have continued as the esoteric interest of the few, the creator of household names but never the entertainment of millions that it has become. As an ancient and wrinkled follower of F1, I have the right to say that would have been no bad thing. Indeed I protest, not only at the destruction of the sport that looms over us, but also at its conversion from private obsession to multi-million dollar entertainment for the masses. Much has been said recently about the elitist nature of F1, that it is essentially a sport for the fabulously rich. This is intended as a criticism but, in fact, it defines the sport quite aptly; it has always demanded the input of ridiculous sums of money. That is why it is a display of technical excellence and driving skill that fascinates us and makes us dream. Yes, F1 is elitist and that is the essence of its attraction. There would be no point in fantasizing about being an F1 driver oneself were it not clearly the stage upon which the best perform. Young blood demands that it be tested and it will find its outlet, whether that be in physical pursuits or in mental prowess. And, with the spread of motoring in the mid-twentieth century, it was inevitable that driving skill should become a matter of ambition and motivation amongst the young. Once discovered, motor racing becomes an end in itself and the need to be the best pushes the aspirant towards the heights, that form of racing we know as F1. But it has always been the domain of the few; when confronted with the sacrifices, both physical and financial, that have to be made, most of us recognize our limits and find our satisfaction in dreams rather than reality. That is how a fanbase is born. And, since there are many sports, the dream may focus upon all sorts of achievement, the national footballer scoring the winning goal, the sprinter bringing home the Olympic medal, the chess master beating the Russians at last. F1 captures its devotees but they remain a small minority as long as the sport is an obsession rather than an entertainment. That is what Ecclestone has done for us. He has converted the obsession of the few into a show watched by millions. Those few nutcases who have held on to the dream have sat through the transformation of their sport into a branch of the entertainment industry uncomplaining, vaguely aware that things were drifting out of control but comforted to some extent by the addition of large numbers to the cause. How could it be a bad thing if the greatest sport on earth were to expand the number of its followers? We see now why we should have called a halt to the hijacking of F1 long ago. Now the excuse for rule changes is the improvement of the show, now the rich fight over division of the spoils, now interests of huge organizations tear the sport apart while those who really care about the remnants of competition left to it are ignored as merely the paying customer. This is what F1 has come to. The amazing thing is that we still care. The sport is a robust beast and its essential elements of competition survive under the glitter and artificiality of show business. The dream remains, although its future hangs in doubt as the threatened split looms upon the horizon. This may be the final death knell of F1 and it is no surprise that the endurance of the fans turns into disgust and cries of "I will not watch it next season" abound. For shame, Bernie, that you have brought us to this pass. Now get in there and fix it! I myself lost completely the desire to watch F1 last year, and the best part about that it is that I have found many other genres of motorracing that are a lot less political, a lot less about the money and the show and a whole lot more about the racing and having fun!!! The good thing about the spectators/fans leaving is that they are still motor racing enthusiasts and the other areas of racing will benefit hugely from this. Who know maybe the 'new' F1 will actually be fun to watch??? ''This seems like Deju vu all over again" Famous quote of American baseball player Yogi Berra. Great post Clive. It had occurred to me we've had a deafening silence from Bernie in recent weeks, well all but a couple of muffled "sort it out guys". He was ill the weekend of the Turkish Grand Prix, and has just gone/going through a divorce. For the sake of the sport I hope that he has been working behind the scenes to find a resolution, but he is 79 in a couple of months age and personal circumstance may been keeping him out of the spotlight. Three days to save F1, I hope someone has some solutions. If they do they're hiding them pretty well! Mmmm, well that pretty well says it all - and that’s from another wrinkled old coot who has watched in disgust as, “the greatest sport on earth” has been systematically destroyed by a few in the interest of personal power and financial gain. Accordingly, I have long advocated a clean break to a take-over series which would effectively eliminate the sport’s accumulated baggage, such as excessive and incompetent management, blatantly biased kangaroo courts, personal power struggles, financial parasites siphoning off money that would be better utilized within the sport, the ridiculous overstuffed library of rules and the comedy show that poses as race stewards - to name but a few of the inherent problems. Yes, I did mean take-over series, for wherever the big names go, so goes the public interest - and the sponsor's money will not be too far behind. Yes, I have listened to the legal ramifications case, but regardless of the mad one’s posturing, the FIA is in no position to maintain protracted legal actions against such a united front. Yes, I’ve listened to the egotistical dwarf’s contention that only he is capable of organizing the logistics of such a series, but if he can handle this task, there is an inexhaustible supply of candidates out there who could do so much better. Yes, I’ve listened to the concern that tracks will not be available, but there are many circuits - such as Silverstone - who would welcome the chance to host a real premier racing series, and in doing so be part of ridiculing the FIA’s make believe counterpart, for over the years the dynamic duo and their army of yes-men have accumulated many more enemies than friends. However, of the several courses open, I will not even hazard a guess on what will actually happen to our sport now, for those who purport to be able to deal with such tortured minds have spent many years learning to do so - and thankfully I am not to be counted amongst them. Jon: Time to let it go? You're probably right but I don't know if I can. Years of watching it at all levels (including the politics) have made me an addict, I fear. Aracer: It's like deja vu over and over again! Richard: Perhaps Bernie's silence is evidence of his being too busy trying to fix things to be able to comment. I hope so, anyway! David: You are more optimistic about an alternative series than I am - today, at least. I can only hope that you're right and that out of the ashes will rise a reborn F1 that returns to the glories and simplicity of yesteryear. Clive: I am with you all the way, but there are those who believe that a split will be result of FOTA failing to grasp the 'olive branch' offered by Max (see The Buxton Blog, "The Lie of the Land" post). I believe FOTA has done all they can. Good faith negotiations have gotten them nothing. I think Bernie is caught between. Backing Max won't change the situation, but backing FOTA might. However, he cannot back a break away series as it would be a conflict of interest given his employment. Additionally, FOTA wants more revenue and Bernie cannot bow to that. Perhaps Bernie needs the break away series so he can drive home some changes at the FIA and grant concessions his employers might otherwise refuse. Marc: I have never believed that there would be any point in Bernie following FOTA to a new series. If the teams have gone to such lengths to escape him, why on earth would they consent to his taking up the financial reins in whatever they set up? But he has a part to play in preventing the breakaway - if he can make Max back down, F1 might yet be rescued. There will always be those who take the FIA line and see it as the way forward. I don't really understand how they can still trust Max with his constant unnecessary changes to rules and adjustments to fix adjustments but they are entitled to their opinion. Clive: great post. Perhaps I'm naive but I do believe that a break away series having Ferrari; Toyota; BMW and Mercedes as both constructors and as engine suppliers together with the current top drivers; will become succesfull without a doubt. They could support several additional teams as they do now (ie Red Bull; Brawn) as well as invite and help (to make the numbers) Aston Martin; Lola etc which have been politically passed over. Take then the circuits which want F1 but cannot have them or afford them; which will have a great audience (ie Montreal; Silverstone to name but a few) as well as make the whole financial situation cheaper for both TV; and the paying fans and off you go. Note these manufactors want a presence overseas! These teams will know that the money they have to put in to start the series will come back if (and for me that's the crux) the TV footage is proffesional as well as the tickets affordable. Compare this then to F1 which would be a single common Cosworth engine race class when the current engine contracts run out with no name drivers.... I therefore cannot imagine a break away series not being succesfull. I see in the FIA statement that max says that the FIA cannot sue manufacturers if their team drops out of the championship but can only sue the team which usually has a negaive financial situation. I wonder how Ferrari and Red Bull have read that statement. Since the teams are subsidiary companies of the parent and even McLaren's racing team is a subsidiary it means that any team can walk away from next year's championship if Max forces them in and fold their racing team and at the same time sell its assets to another subsidiary and carry on in a breakaway series. K2san: I have no doubt that a breakaway series could be successful given time. But I have my doubts that the manufacturers have the determination to make it happen - it seems more likely that they would just walk away. That is being pessimistic, I know. Perhaps I am just feeling annoyed today that a greedy secondhand car salesman and his greasy lawyer have hijacked our sport while we stood by and let it happen. Looking on the bright side, I am reminded of a thought I had a while back, that this could be an opportunity for the FOTA teams and IRL to get together to create a series on both sides of the Atlantic with classic races in America and Europe. It could be the saving of open wheel racing in the States as well as a continuation of what F1 has always been. I would run without every looking back at F1... I have felt suffocated as a long time F1 fan, with the way the sport has been run into the ground in the last few years. Ron: Hah, good points indeed. I have supported FOTA all the way through this because the FIA and Max have made such a mess of the sport. It's hard to see how the administration of a breakaway series could do worse. A hearty "Well Done, Clive" from another old wrinkly fan. I , too don't see how a breakaway series could help but succeed. As others have commented, the venues are certainly out there and I truly believe that a large enough part of the current fan base would follow the mfg teams to make it viable. If there is indeed a breakaway series, I'm betting it wouldn't take too long for Williams, Force India and the others to bail out on what's left of Max's F1. Bernie and CVC are the one who're going to take a bath. Bernie may be ready to throw in the towel, but I'm suprised CVS isn't trying to save the deal. Who knows, perhaps they're working behind the scenes...but I don't see any evidence of it. Let's look forward to a new series at the historic tracks without all the Max and Bernie crap. Supposing there is a breakaway series, how committed contractually are the new teams? Do they have an obligation to fulfill to the FIA? Can they get out of any such agreement because the FIA does not deliver a reasonable product? In other words, is it possible for Max to be holding an empty bag? That indeed would be the coup de grace. Don: I doubt the suits that run CVC understand what is happening in F1 at the moment. They let Bernie continue to run their show for that very reason, only requiring that he pay them the profits to enable them to service their loans. So they know only what Bernie chooses to tell them and, no doubt, he is soothing their fears, telling them that he has it all under control. He is hardly going to admit that his tame poodle has been running wild for some time now and is about to throw CVC's investment down the drain. Aracer: I think the answer to your question is yes and no. Mosley claims that Ferrari and the Red Bull teams are bound by contract to compete in F1 until 2012, but Ferrari (and presumably Red Bull agrees) says that he broke the contract when he instituted the rules for 2010. The rest of the FOTA teams are not bound because there is no Concorde Agreement in place and that is where their commitment would be documented. In fact, any legal threat either way is empty. The teams would be long gone before any court of law could get down to considering a case and, in any case, Max has somewhat weakened his point by admitting that his contract is with the teams not the manufacturers. Since the teams have no money of their own, there would be no point in suing them. Ferrari may be the exception to this but Luca is obviously prepared to fight it out in court and meanwhile the FIA would find it very difficult to meet their legal fees (they are already unable to balance their budget for the last two years). So yes, there are contracts in place but only with a few teams, and no, it would be foolish to try to enforce them since they have been broken by the FIA already. Any of the teams that have entered the championship as far as I am aware has to pay something like $390,000 by November. Failure to pay that would result in them being kicked out of the championship. So all they have to do is not pay the entry fee as far as I can see. So far they have paid nothing. Steven: So they could just make their preparations for a new series, omit to pay the FIA for next season and get booted out at just the right moment? Hah, that would be amusing, at least. I've been following F1 for over fifty years and I haven't seen anything like the current situation ever before. On the track we may have, for a while, one or two teams up front and the excitement freaks out there may not like that, but we now have GP's where most of the cars actually finish the race and most of them are pretty close together. In years gone by (yes lads "some old fart banging on about yesteryear") races often became a REALLY boring procession after about half way with most of the cars in the pits and retired. The sport has come a long way in that respect. Don't get me wrong, I never switched off in case the leader faltered and the second placed man made a fight of it! Clive, I've been a suit and I find your assertion that those guys won't be following the process very closely at present to be way wide of the mark, they are astute men. I also bet that Bernie is keeping them well informed. People may not like him but he's no coward and I reckon that he'll be working his backside off to sort things out....remember he was a racer and doesn't like losing. I notice that Lola was due to make a decision on Tuesday about it's future plans, having not been included in Max Moseleys original toy box, but by Wednesday there is no news. Perhaps Martin Birrane doesn't like being used in the way that his company and Prodrive and Epsilon are, or maybe he'd rather be where the action is should the teams decide to opt out and is waiting to see what happens. Back to Bernie & the suits. I would say "follow the money" and right now the FIA has none. And don't worry Clive we'll be watching something next year but God knows what it will be. Leslie: And a great comment - thanks. I take the rap over the knuckles regarding "suits" without complaint - you are quite right and I was a little too dismissive of them. They have an investment to protect, after all. Actually, I was a suit myself for a while but didn't like it and got out as soon as I could. I also wondered about the silence from Lola but would guess that they're waiting just a little longer before making a decision. With it looking as though spaces will open up for next season, it would seem the sensible thing to do after the all the preparatory work they have done. "And yes, we'll be watching something next year - but what will it be called? ;)"
If this isn't sorted out, we'll be watching one of two things next year: either the brand-new GP1 Championship, or the reinvigorated Le Mans Series. Journeyer: I hope you're right, although I would prefer that F1 survives pretty much as it is now and the FIA has a new president. "Journeyer: I hope you're right, although I would prefer that F1 survives pretty much as it is now and the FIA has a new president. " Unless we have a Mousavi figure in the FIA, or people willing to pull off a coup, it won't happen. I have been following F1 since 1960 and Phil Hill win in Italian GP. The first by an American if I recall. Always loved the technical variety. Porsche were air cooled, Vanwalls were pretty, Coopers had space frames, and the Lotus 25 . . . . There were private owners, think about that, Rob Walker, Bob Anderson, they put up their own money to race at the highest level! Maybe Max has stumbled onto something. He can't kill the sport, because the technology will always intrigue. But he may force it back into the hands of those who create out of necessity and a desire to compete. Put a limit on the budget, but open up the regulations to allow variety and competition. Really open them up! Let the corporations all run to Le Mans. It might make that racing interesting again too. But bring back some pioneers to the sport of fascination. I'll still love it. If they take over something like A1GP I can see it being up and running very quickly as most of the logistics and contracts will already be in place. I can also see many of the tracks like silverstone and canada jumping at the chance to host the pinicle of motor racing again. The saying "Be careful who you anger on the way up as you don't know who you will meet on the way back down" comes to mind with the FIA, Max and Bernie. Clive, Yes worrying times indeed, but what about this. Having scraped up your £40 Mill. to enter capped F1, how will you feel when all the big teams set up a rival, familiar and more popular series? Will you still be so keen to go with the FIA to what would surely be a one engine,one gearbox, no kers (even if anyone still wanted it! ), no McLaren engine management system F1 or will you be seduced to the dark side by offers of cheap engines, 'boxes and tech. help that FOTA will surely continue to make? I know where I would go! Then think of the circuit owners who would probably be locked into FOM for a distinctly second class FIA series and who would move heaven and earth to get out of their overpriced contracts and try and make a little profit on the deal. This may be the best chance FOTA has of ridding us of these two small minded, mean spirited oligarchs. I feel much better! John: I, too, would love to see a return to the old days of innovation by brilliant engineers operating on shoestring budgets. The problem is that I don't see it happening with Mosley in charge. He cannot resist meddling and, going on past record, he will spoil any genuine attempt to get back to F1 as we knew it. You cannot trust the man. Chrisess: Good points - perhaps I am too pessimistic. My main fear is that the FOTA teams will leave F1 but not set up an alternative series. Ferrari and McLaren could easily enter the Le Mans series instead, Renault, Toyota and BMW might prefer to close down operations altogether and Brawn would then have to go cap in hand back to Mosley. There wouldn't be much left for the fans to get excited about.